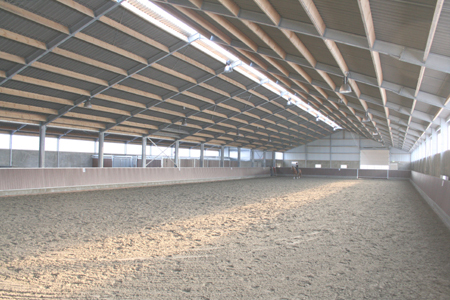 The royal indoor arena of the complex is sized 20mx60m and therefore suitable for riders in the Dutch Z-class. 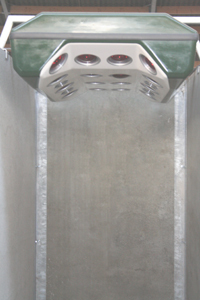 The floor of the arena is provided with a so-called 'rising-tide system', which controls the humidity of the floor in an optimal way. 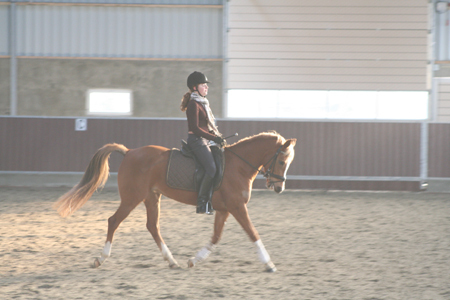 It's possible to use the arena by day, as well as in the evenings. 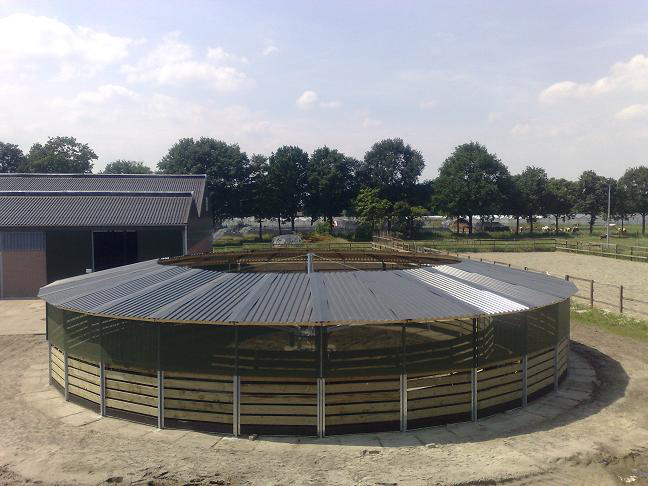 Lately, two outdoor arena's are constructed. The arena's contain humidity-controlled sand-bottoms and are sized 20x60m en 15x30m. 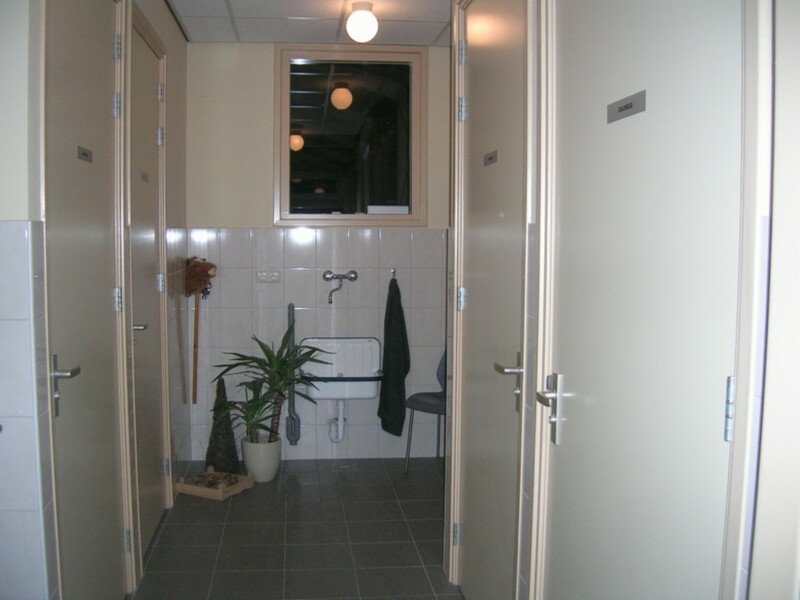 In June 2008 the accommodation is extended with a professional HBS training mill. 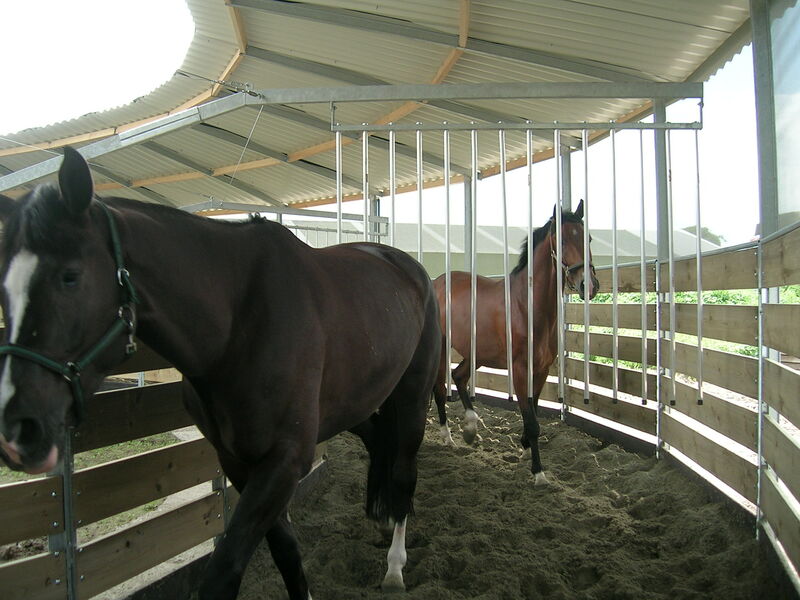 This 18 meter training mill enables 8 horses simultaneously to train on several programmable trainings and different tempo's. The mill is also provided with a rooftop and light-installation to enable training on all kinds of weather conditions. 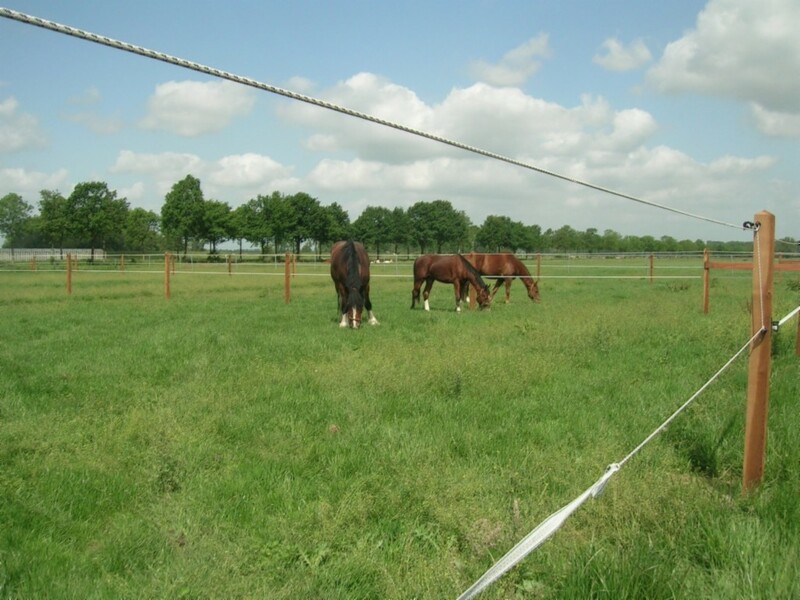 The accommodation also includes opportunities for grazing. 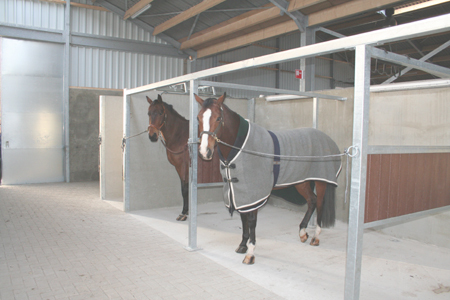 De box stalls are manufactured of extra solid material en provided with an easy sliding door. 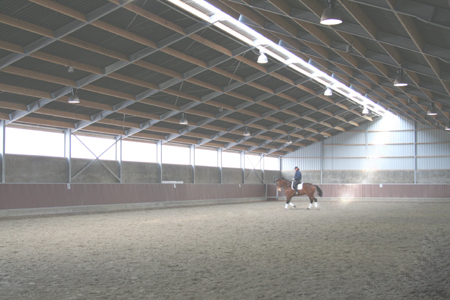 The hall is well-lighted and well-ventilated to provide an optimal climate. 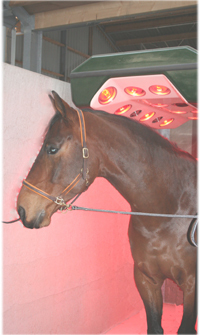 The solarium with infrared beams offers a better blood transit and export of excreta of the horse. This will provide a quicker recovery after an intensive training. 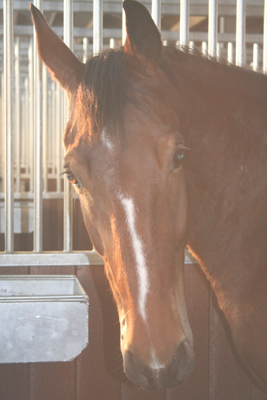 The heath of the solarium also provides a more gradual cooling down of the muscles and a nice shine of the hair. Off course, the chance of a cold will be reduced as well. 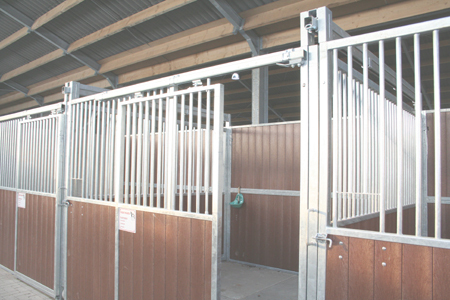 There are royal wash stalls available to take care of the horse. 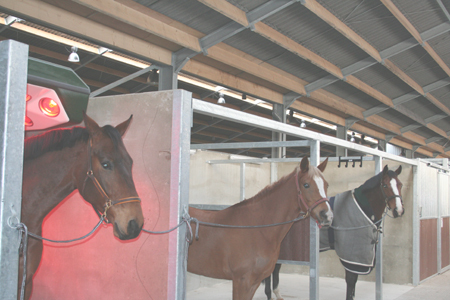 On one side of the passage there are 3 places to shine up the horses. 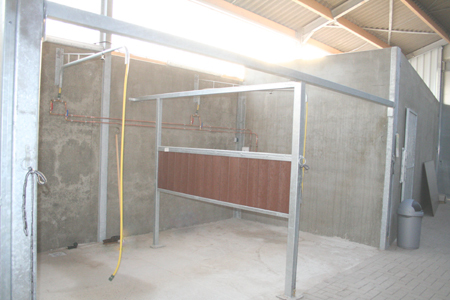 On the other side there are 2 wash stalls provided with warm and cold water. 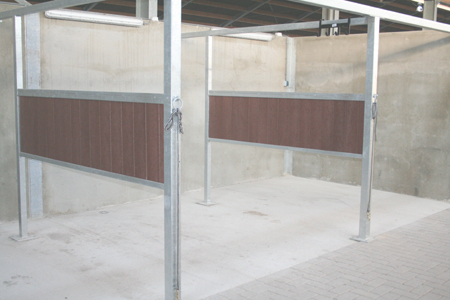 The saddle chamber is a closed space where the material can be put away in. 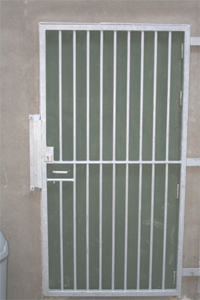 It's well protected and the lockers thereselves can be locked separately. 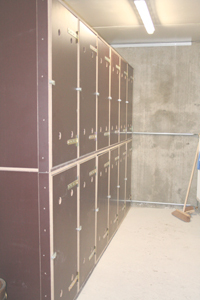 The lockers are provided with ventilation holes to keep the material in good condition, also supported by the heathing in this chamber. 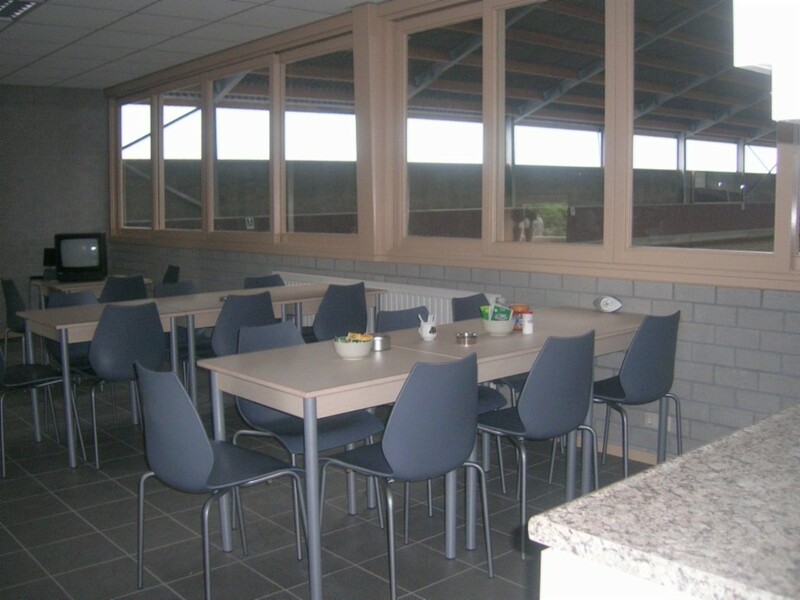 The complex now also includes a royal coffee room, to sit down for a moment or have a break.